This was my lazy Sunday outfit as I'm wearing tregging sort trousers - something I'd never do on a week day! 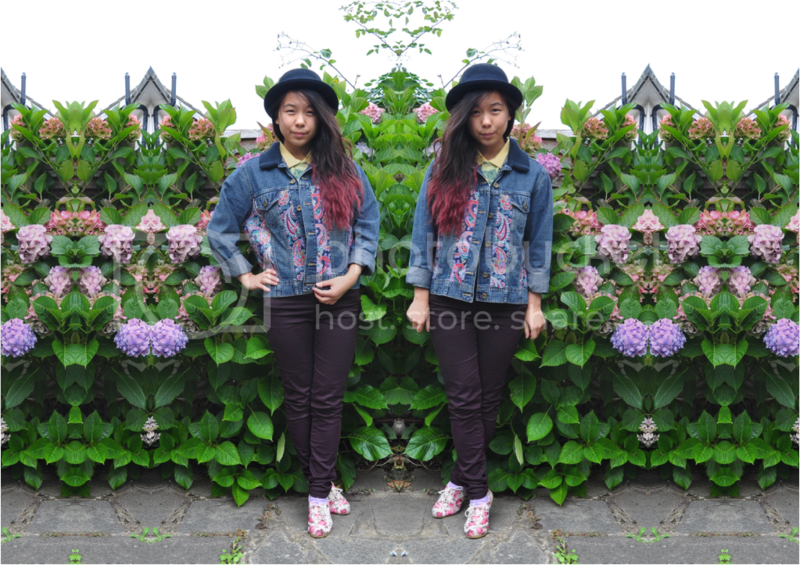 I normally wouldn't post an outfit like this, but I thought I might as well today to show you guys the denim jacket that I DIY- ed with some paisley awesomeness. I have been in love with Sara's WAISTE denim jackets for a long time and if I had all the money in the world, I would buy them all, but unfortunately I don't, so I thought I might as well get crafty and try and make my own interpretation of one. 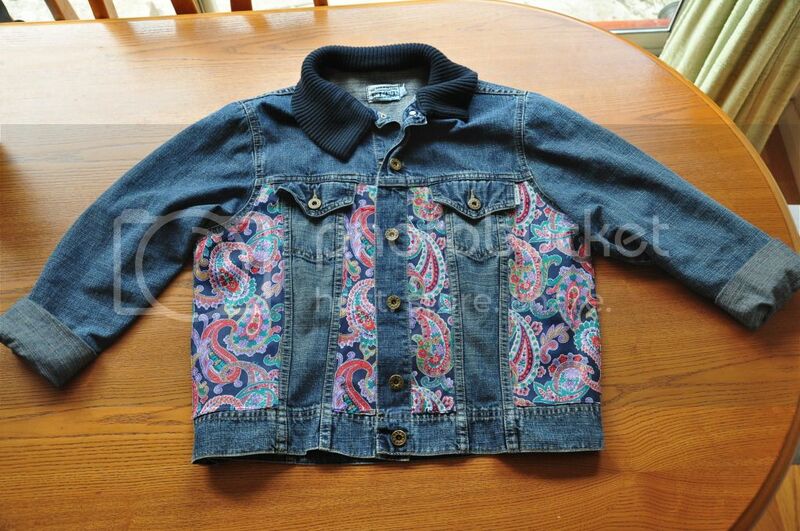 Since I am literally in love with paisley print, I thought I'd make a paisley print denim jacket! This jacket looks like it would've been relatively easy to make, but it certainly was not. I really wanted paisley panels, so I through a plethora of charity shops, trying to find something paisley. 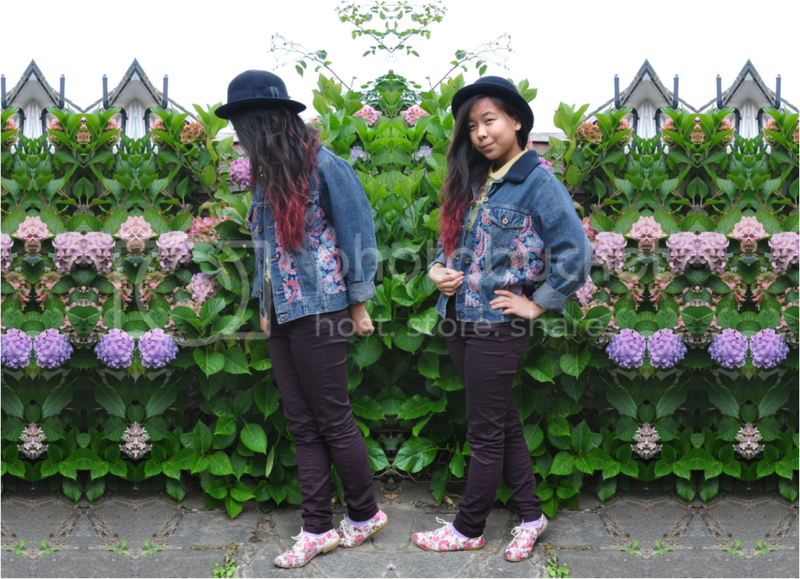 At last, I found a paisley quilted floor length jacket, which I cut off the ends and used the material for this DIY. Since it was quilted, I had to unpick ALL of the criss-cross stitching, in order to detach the lining and the padding. Once I had done, then I could finally attach the pieces of material. Now, before last week, the last time I had done any sort of machine sewing was in Year 9 in our textiles lessons, so I was worried that I would be a bit rusty with it, but turned out that the sewing part was fine - getting the material so it was the right size was the hard bit! Alas I have finally finished this jacket after 4 hours unpicking the quilting and sewing. I wish I had bought a larger jacket than this one to have done this DIY on, as I think denim jackets look better oversized, but I am, nonetheless, very happy with it! Making this jacket was actually quite fun, so watch this space - I might make some more and sell them in the near future! That is all for today. School has been majorly stressful as of lately (doing technically 6 A level subjects, looming violin audition, running Glee Club, MD of Young Enterprise...), hence why I have had no time to update this blog. I thank all the people who have been patient and not so patient (Olivia ;)) with my sporadic posts. I will post more frequently when I have more time - half term maybe? That jacket is awesome! I don't understand how you have time to do all these things!! Aahha I dont!! I've not done any hw yet arghhhhhhhhhhhhhhhhhhhhhhhhhhhhh! Woaaaaah your jacket is freakin' awesome. I literally spent this whole week wanting to DIY a denim jacket #weirdcoincidences YOURS IS SO GOOD. That jacket is so cool!! Love the hat! Paisley is soooo good. I adore your jacket. That jacket is so awesome!!! I LOVE this! Paisley is so rad. This jacket rocks.